The Lagos State House of Assembly has described the death of the ex-wife of the late former president of South Africa, Mr. Nelson Mandela, Winnie as a great loss to Africa. This was raised as a report by Hon. Okumuyiwa Jimoh during plenary on Tuesday. Jimoh, the Deputy Chief Whip of the House, had said that Winnie Mandela was a freedom fighter, who stood solidly behind her husband, the late Nelson Mandela, adding that the House owes it a duty to condole with the people of South Africa through the country’s embassy in Nigeria. “Winnie Mandela was also in prison during the struggle for the emancipation of the people of South Africa from apartheid in South Africa. “It is important for us to observe a minute silence in honour of Winnie and condole with the people of South Africa over her death,” he said. The Speaker of the House, Rt. Hon. 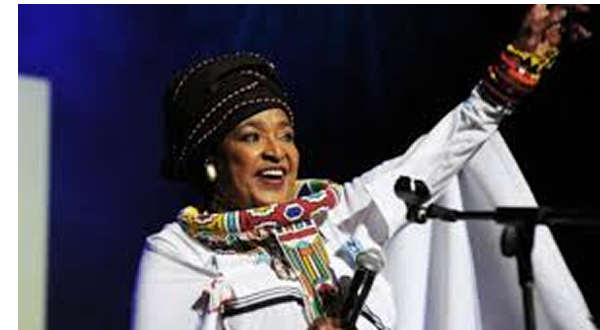 Mudashiru Obasa stated that Winnie Mandela was a loyal woman to her husband and that their party, Africa National Congress (ANC). He urged women not to take the back seat in the scheme of things, when it comes to the issue of freedom. While directing the Clerk of the House, Mr. Azeez Sanni to write a letter of condolence to the people of South Africa through their embassy, the Speaker emphasised that the woman was a role model to all women. Supporting the move, Hon. Bisi Yusuff stressed that it was important to mourn the Winnie, who he said made womanhood to be virtuous. On the 66th Birthday of the National Leader of the All Progressives Congress (APC), Asiwaju Bola Ahmed Tinubu, the Speaker of the House, Rt. Hon. Mudashiru Obasa explained that it was important to identify with Tinubu and celebrate him as the House does every year. In his view, Hon. Tunde Braimoh said that it was a delight to celebrate Tinubu, who he said was the architect of modern democracy in Nigeria. Braimoh, representing Kosofe Constituency 1, agreed with the Speaker that Tinubu laid the foundation for the progress being enjoyed in Lagos State through the successive governors of the state. He said that people troop to the venue of Asiwaju Tinubu Colloquium every year to celebrate him, adding that topic of this year’s edition; “Investing In People,” was apt. Hon. Bisi Yusuff, representing Alimosho Constituency 1 declared that it was important to celebrate Asiwaju Tinubu, who he called a crisis manager and a man with a large heart. Also speaking, Hon. Olumuyiwa Jimoh said that he was happy to be associated with Asiwaju Tinubu, and that his service to humanity was weightier than Mt. Kilimanjaro. “He is a man of substance, an ideologue and a father to all. I wish him more years of service to humanity,” he said. The Majority Leader of the House, Hon. Sanai Agunbiade pointed out that Tinubu’s doggedness has assisted Nigerians to stand behind the progressives. Agunbiade recalled that the APC won a general election at the national level and defeated an incumbent government through Tinubu, saying that he is an enigma, who has trodden the path of honour. In her view, the Deputy Chief Whip of the House, Hon. Omotayo Oduntan described Asiwaju Tinubu as a friend to many people, who keeps going, when things are tough. Hon. Rasheed Makinde observed that the annual colloquium in honour of Tinubu has become a source of policies to the government and that he is a brilliant strategist and a planner. Speaker Mudashiru Obasa however appealed to the people of the South West to rally round Asiwaju Tinubu. “It is not easy to find an ‘Araba Tree.’ We should see Asiwaju Tinubu as our own ‘Araba’ that is difficult to come by. “We should rally round him, protect and support him. A man of this substance is not easy to come by, he said. Obasa then directed the Clerk of the House, Azeez Sanni to write a letter to Asiwaju Tinubu on behaf of the House to congratulate him on his 66th birthday,” the Speaker said. The lawmakers later cut a birthday cake in honour of Tinubu.